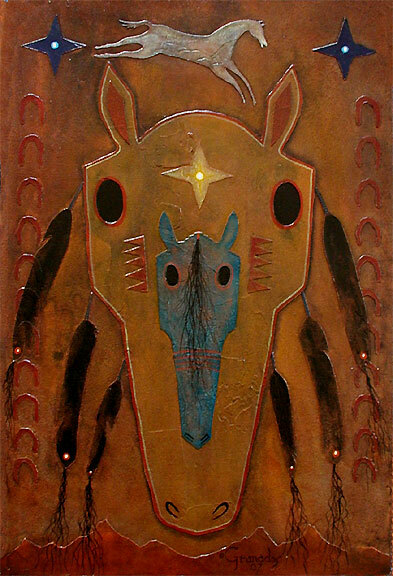 "Horse Dreamer Mask" series 1, embossed-acrylic & cotton-duck laminate on tempered-masonite panel, 24" x 16", custom-framed. 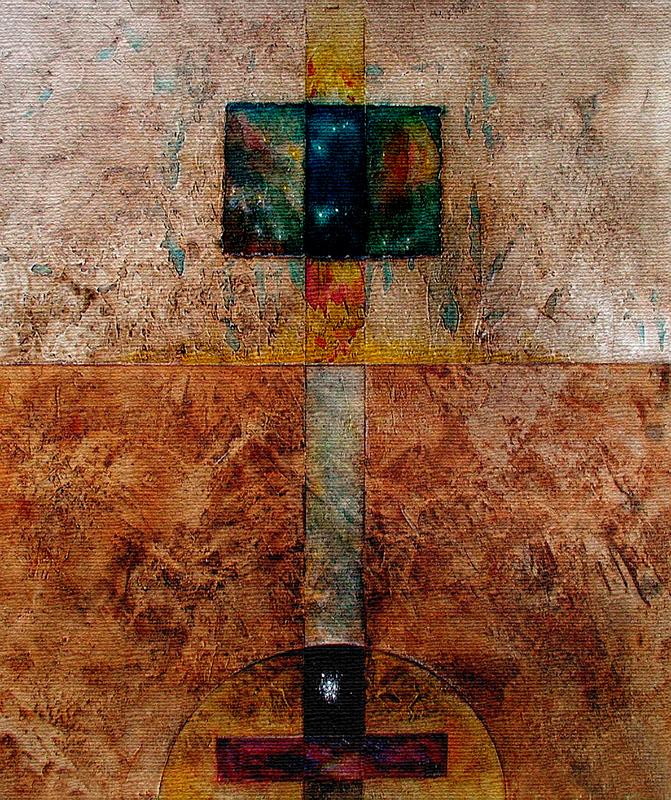 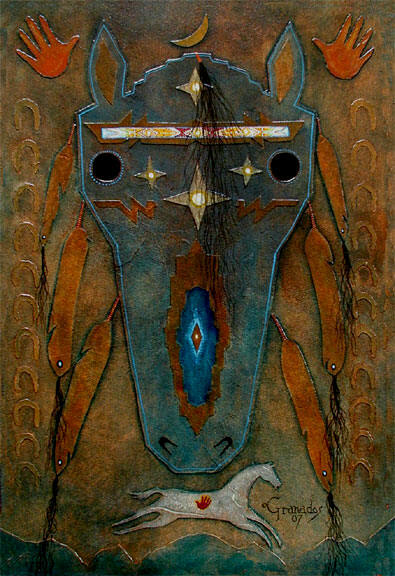 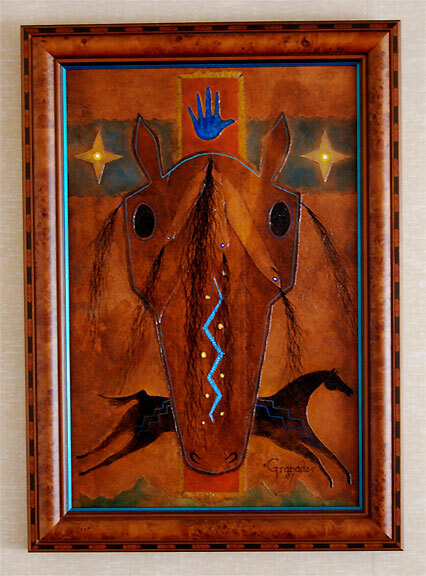 "Horse Dreamer Mask" series 2, embossed-acrylic on tempered-masonite panel, size 24" x 16", custom-framed. 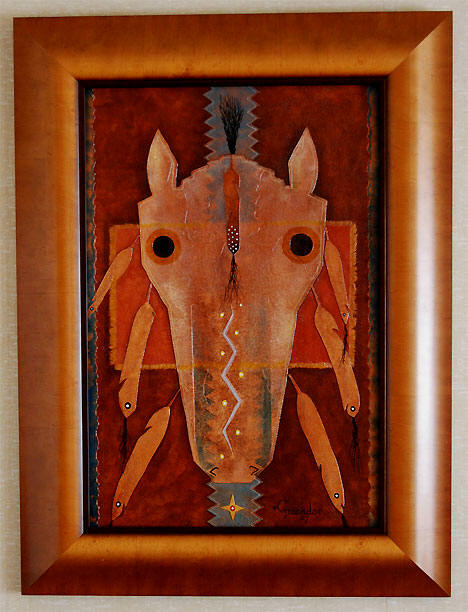 "Horse Dreamer Mask" series 3, embossed-acrylic & cotton-duck laminate on tempered-masonite panel, 23 3/4" x 16", custom-framed. 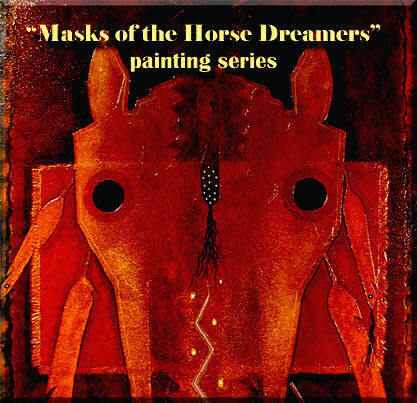 "Horse Dreamer Mask" series 4, embossed-acrylic on tempered-masonite panel, image size 24" x 16", custom-framed.